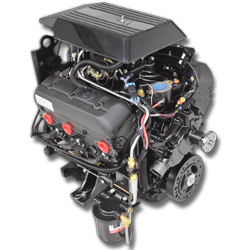 The perfect repower for all makes of 3.0L marine engine products. 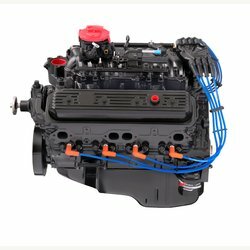 Made from 100% new components, this engine allows you to relive the experience with your 3.0L powered boat. 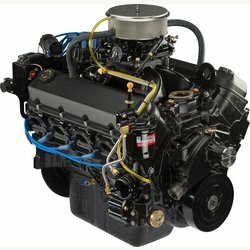 This all new construction crate engine is a universal power upgrade for V8 MerCruiser Bravo sterndrive and inboard applications, and adaptable to other brands of sterndrives and inboards regardless of make. This 100% new crate engine is the big block that everyone wished they had in the 1980’s. 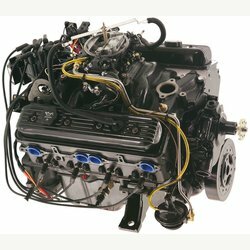 It produces over 560 ft-lbs of torque, and is a replacement for all 454 HO, 502, & HP 500 carbureted MerCruiser Bravo sterndrive engines. Not for inboard use. 110 HP @ 4800 RPM. 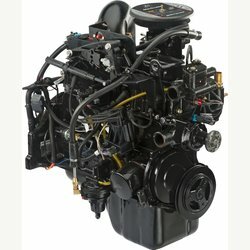 This all new construction 3.0L crate engine services all makes inboard & sterndrive 2.5L & 3.0L marine engines built between 1963‑1989. It will require the installation of a 14″ flywheel. A refurbished 14″ flywheel 8M0135884 is available separately. 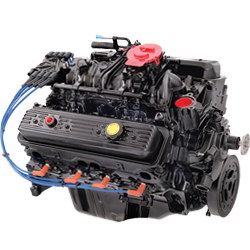 At 225 HP the 4.3L Crate Engine is bold enough to deliver the power of a V-8 engine while deliverying V-6 fuel economy. 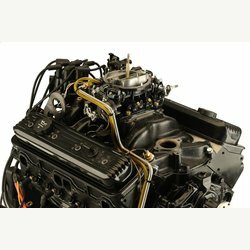 With torque to spare, this engine is a natural power upgrade for 4.3L carbureted engines of all makes for most runabouts.